The newly established Subject Specialist Network for Islamic Art and Material Culture, funded by Arts Council England, seeks a freelance researcher to carry out a mapping project of UK collections. This process will identify and define the extent of collections across the UK (England, Scotland, Wales, Ireland), ranging from historic objects to contemporary art. The post-holder will liaise with the SSN’s regional representatives, to gather information about holdings of Islamic material in collections across the UK. This information will be presented on a dedicated website and at the Inaugural Annual General Meeting of the SSN in early November 2014. This is a fixed-term opportunity beginning in September 2013 with a completion date in May 2014. This would be ideally suited to someone looking for a part-time project. Much of the work could be done from home, but the contractor may also be required to visit some collections across the UK and will be expected to report regularly to the chair or secretary of the SSN, who are based in Birmingham and London. The fee is £5,000, which will be paid in three instalments. Additional, but limited, funds will be available for travel expenses directly related to the project. The appointee must have some knowledge of Islamic art (to at least MA level) and an interest in museums, libraries and archives. Some pre-existing knowledge of the UK’s Islamic collections is preferable, and a network of contacts in UK collections is desirable. It is essential that the individual has advanced IT skills, that they be extremely organised and proactive, and have good communication skills. The candidate must be UK-based and have the right to work in the UK. The individual will liaise closely with the SSN’s website coordinator. They will have responsibility for maintaining accurate and backed-up documentation in electronic format throughout the project. They will be expected to report on progress at quarterly meetings of the SSN’s committee, and to present the findings at the end of the project. Copyright for data and images collected will remain the property of the SSN, as will the contact details of institutions and people involved in the project. This is a freelance position and as such, the successful candidate will need to invoice the SSN at agreed points during the work. They will also be responsible for declaring any taxable earnings themselves to HMRC. Interviews will be held in London on Friday 9 August. 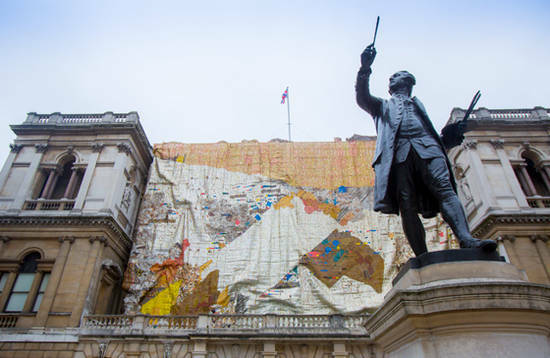 To coincide with El Anatsui’s monumental installation covering the façade of the Royal Academy of Arts during their Summer Exhibition, October Gallery, London, will display two of the artist’s recent works, Iris and Balkan in the exhibition Masters of the Transvangarde. Masters of the Transvangarde celebrates the pioneers of the “trans-cultural avant-garde”, with an eclectic gathering of masterpieces of contemporary art from around the world. 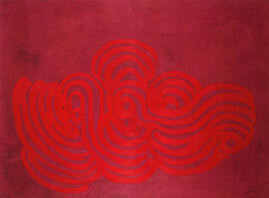 Also on display will be work by William S. Burroughs, Brion Gysin, Rachid Koraïchi, Gerald Wilde and Kenji Yoshida. See the exhibition website for more information. 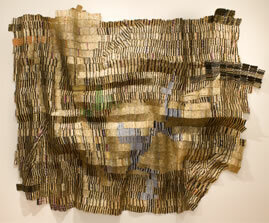 El Anatsui has garnered much international acclaim for a range of spectacular site-based installations. This large-scale bespoke piece, created for the Royal Academy, measures 15m x 23m and is entitled TSIATSIA - searching for connection. It will hang from the balustrade of Burlington House for the duration of the Summer Exhibition. El Anatsui, 'TSIATSIA - searching for connection', 2013. Aluminium, (bottle-tops, printing plates, roofing sheets) and copper wire, 15 x 23 metres. Photo © Benedict Johnson. The sculpture is an intricate, shimmering, metallic ‘wall-hanging’ created from aluminium bottle-tops, printing plates and roofing sheets, amongst other materials. This two-day conference on teaching and learning anthropology will explore how we employ anthropological approaches, insights and debates within conversations about current events. We invite also ethnographic reflections on the role that 'change' may play within the classroom, the university, in the field and within the discipline. Are transformations, or 'crises', teachable in anthropology? What are their implications for academic research, teaching and learning across a pan-European anthropological community? What is the role for anthropological teaching and learning in articulating or engaging with 'change'? Professor Sue Wright, Aarhus University, Denmark. Deadline for registration: 22 July 2013. School of History, Queen Mary, University of London with the Foreign and Commonwealth Office. The first studentship is on 'The diplomatic family at home and abroad' and will start in October 2013. It will be supervised by Dr Helen McCarthy (School of History, QMUL), Professor Amanda Vickery (School of History, QMUL) and Professor Patrick Salmon (Foreign and Commonwealth Office). Further details are available here. The deadline for applications is 8 July. Supervised by Dr Samuel Alberti, Director of Museums and Archives at the Royal College of Surgeons, Dr Beth Greenhough, Geography, Queen Mary, University of London, and Professor Catherine Nash, Geography, Queen Mary, University of London. This three-year doctoral studentship aims to understand the processes and legacies of the repatriation of human remains for museums and claimant communities. Working closely with the Hunterian Museum and combining archival work, ethnographic observation and in-depth interviews, the project will contribute to museum policy, public debate and academic scholarship concerned with the extraction, use, meaning and global circulation of human remains. The award pays fees and an annual maintenance grant (currently £15,726 per year), with the Royal College of Surgeons contributing £1000 to the student’s research expenses. The usual AHRC eligibility rules apply to these studentships, including having an appropriate masters degree by October 2013 and AHRC’s residential requirements.